It was around 6pm on Wednesday, May 14, 2014, that I finally decided to admit I was actually in labor. The contractions were ramping up in speed and strength. We packed bags. Adam picked up cheeseburgers at Winstead's (which I couldn't stomach, sadly). And I labored away throughout the house as we prepped to meet Simon. By 7:30pm or so, Adam and I started to roughly time the contractions - they were coming very quickly. Teddy was already sleeping over at Adam's parent's house, as we were supposed to have a date night. Adam sent his last text to his parents around 8:53pm, which is around the time we pulled out of our driveway to head to the hospital. We checked into St. Luke's on the Plaza a little after 9pm. I was already 8cm. At that time, Adam sent a text to our good friends, who so sweetly and selflessly offered months ago to be our birth photographer and videographer. Both of these ladies are sisters in Christ, mothers, and nurses. Shae Paradise, photographer and Whitney Arthur, videographer, somehow wrapped up their evenings taking care of their children and made it to the hospital. I warned both of them around 5:30pm I thought I was in labor, but Adam texted them to confirm at 9:24pm I was at the hospital pretty much ready to push! They both, somehow, made it in time. Simon Adam Balentine came into this world ever so sweetly at 9:55pm. I pushed twice and Dr. Carter placed Simon on my chest. The room felt holy, life stood still, and only words of praise to God came out of our mouths. Simon's eyes were open and his legs were kicking. After a few minutes he began to use his voice and we heard him for the first time. As I wrote Simon's birth plan months ago, I remember writing and thinking, every second counts. 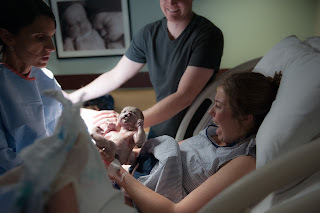 This is why we wanted to make sure we captured every moment of Simon's birth, as we were very much prepared to meet Simon silently or only be able to spend a few mintues with him. God certainly had different plans for this sweet child. "Grace upon grace" has been the theme of the moments, hours and now days after Simon's birth. Shae and Whitney, you have blessed our family by capturing one of the most sacred moments of our lives. Thank you to you and your families for helping us remember Simon - I know many people helped you so you could be present at Simon's birth and then again for his birthday party the following morning. Thank you for stepping in when appropriate and "acting" as my nurses as well. You went above and beyond to make everything simply amazing. You are beyond talented, Shae. 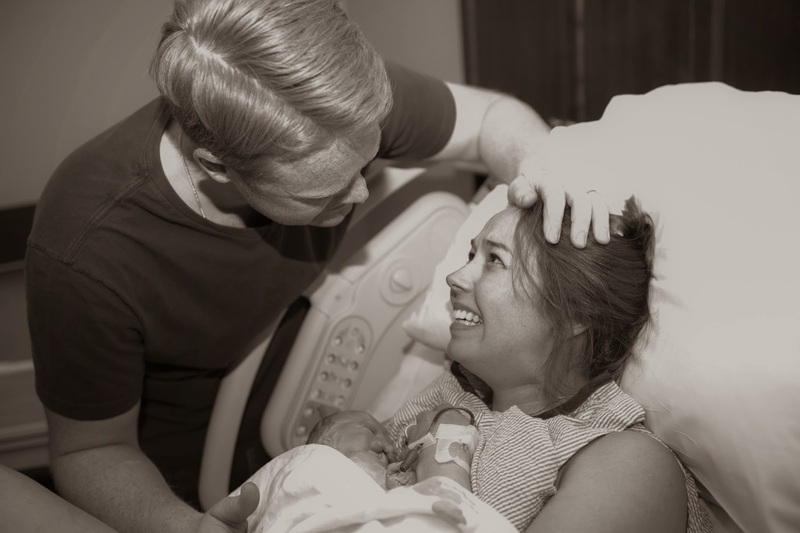 Your photography perfectly shares our amazing evening getting to meet our little boy. Whitney, you are such a special friend. Thank you for being our support and biggest fan. I look forward to sharing your video footage later. Thank you, Lord, for these two friends, for their love and for their talents. I would normally not want to share such an intimate moment with the world. However, I know Simon is being heard and reaching others far beyond what we could've ever imagined. These photos perfectly take me back to the moment. I sense God's holy presence through these photos and I hope everyone else can too.